Uncle Frank hunting for water weeds in the water outside of his cottage in upstate New York. My 82 year old uncle Frank up at around 7 a.m. outside of his house in Dewitt New York. 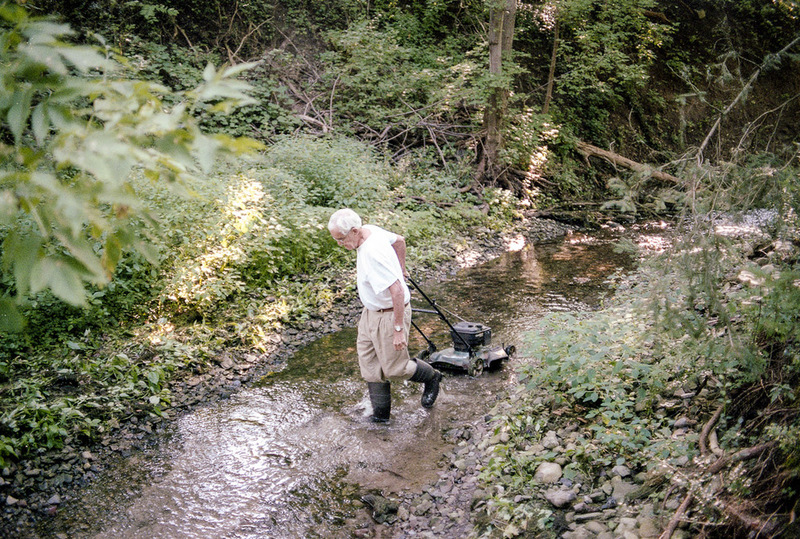 He’s dragging his lawn mower across a creek so he can take care of the grass on the other side. His discipline, energy and work ethic have always inspired me.